SRINAGAR, India, July 26, 2010 (AFP) - The death of a man in police custody in Indian Kashmir has sparked fresh tensions in the disputed region where security forces have struggled to contain weeks of protests and unrest. Tariq Dar was detained by police last week in the northern district of Baramulla on suspicion of being a member of the Pakistan-based Lashkar-e-Taiba militant group. Police handed over Dar's body to his family on Sunday, claiming that he had committed suicide inside a prison cell. 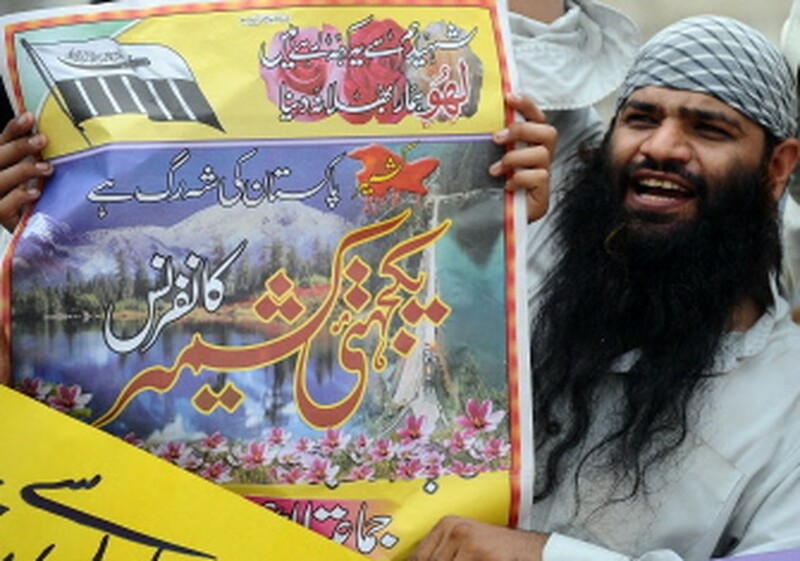 But his family said he had no association with Lashkar and that he had been tortured to death. The death brought hundreds of Kashmiris out on the streets of his hometown of Rafiabad overnight chanting "We Want Freedom!" and "Punish The Killers!" witnesses told AFP by telephone. The protests continued on Monday. The government has ordered an inquiry into the incident, state minister Javaid Ahmed said, while police said two officers had been suspended for "dereliction of duty". A strike also shut shops, banks and schools in Srinagar, the summer capital of Indian Kashmir, on Monday as protests over the recent killing of 17 people during demonstrations continued.